Crayfish. Photo by Bee Collins. 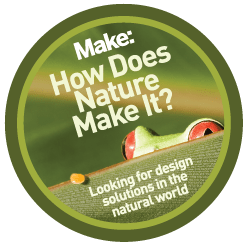 If you have ever been at the checkout counter of a warehouse-sized Home Depot in North America, you may have stood under a biomimetic product without even knowing it. Next time, look up. You might see a heater with what looks like an insect’s compound eye. It’s a HotZone™ radiant heater with the patented lobster-inspired IRLens™. Johnson spent much of his childhood living in the Amazonian jungle. Without television and other activities available to youth in the US, he spent time learning how things in nature work. Johnson later received a Bachelor of Individualized Studies at the University of Minnesota that included engineering and cultural anthropology, an unusual combination that reveals his interest in people as well as mechanisms. Meanwhile, he retained his interest in learning from the natural world, including reading Scientific American. It was a 1978 article, “Animal Eyes with Mirror Optics,” by Michael F. Land, that took him back to his curiosity about shininess. 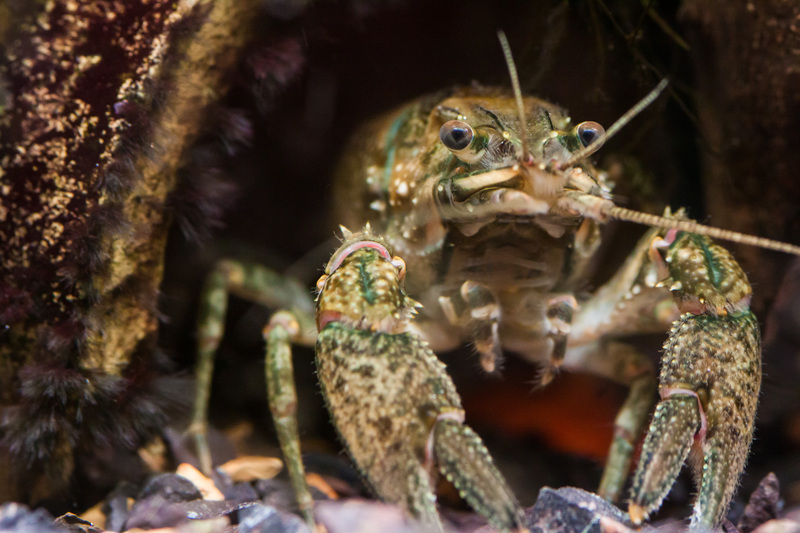 He learned that lobsters, crayfish, and shrimp have compound mirrored lenses at the outer peripheries of their eyes. These lenses operate to “stack” incoming light at points on the retina, intensifying the dim light in their natural habitat to enhance their vision. For more details and an illustration, see the AskNature strategy. 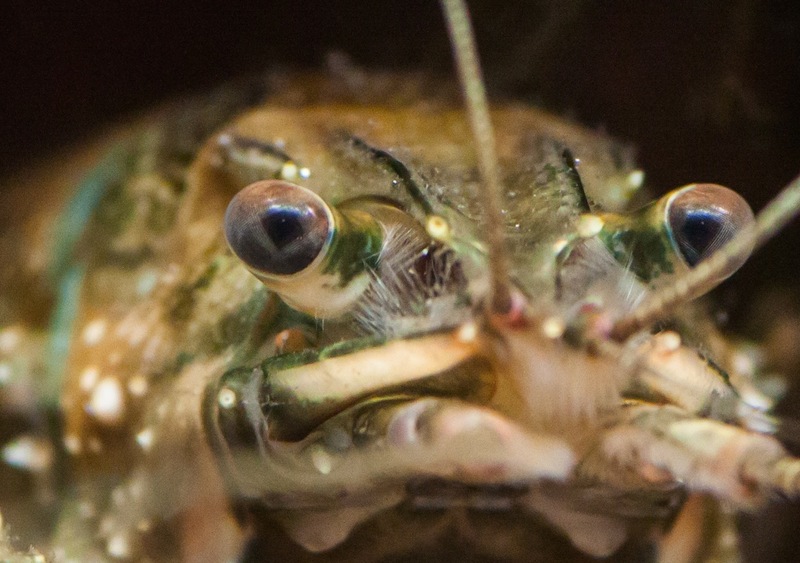 Closeup of crayfish eyes. Photo by Bee Collins. Johnson took this idea and turned it around to design a radiant heater. Whereas the lens of the crustacean eye intensifies incoming light on the retina, the radiant heater focuses heat outward, on an area below the source of the heat. The design uses reflection of radiant energy, which enables transmission of as much as 85 percent of the source energy directed at the area to be irradiated, compared to 40 percent transmitted by the more typical quartz lens that relies on refraction of the heat source. 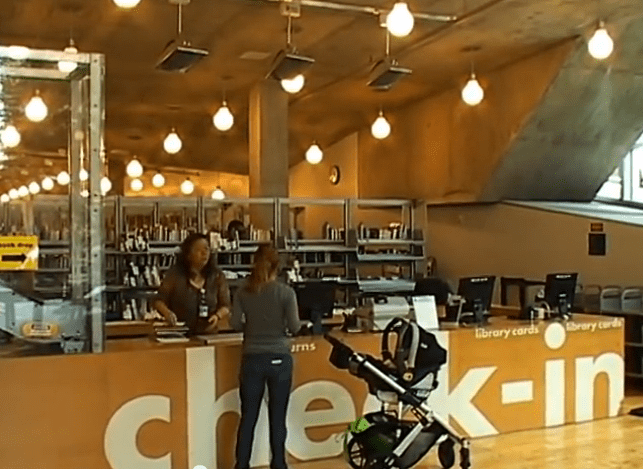 HotZone™ heaters keep the staff warm near the front doors of the Seattle Public library. The design also allows the coverage to be customized, providing a wedge of heated area, circular spots, and even linear patterns. This allows workers at the checkout counters near the front of the Home Depot to feel comfortable because heat is focused on them. Roger created a $1 million-a-year business, Radiant Optics, designing radiant heaters for various large spaces. In 2008, he licensed the company’s assets to Schaefer Ventilation. Their website lists some advantages of the HotZone™ heater, including that it increases delivered heat by 300 to 500 percent, reduces total heating costs by half or more, doesn’t heat areas that don’t need it, and increases reliability due to lack of moving parts. Johnson has spent a lot of time thinking about why some ideas catch on, or stick, while others don’t. In the case of radiant heat, there have been few innovations in the last 40 years. While focused lighting has caught on, the standard for heating remains to heat a whole space, even though spot heating would save a tremendous amount of energy. He has also found that with each sale, he had to go through a whole education process for the potential purchaser. Sometimes that paid off, such as with an old balloon hangar on the Olympic Peninsula that was converted to a performance hall. Sometimes it didn’t, like an outdoor football stadium. Early in my interview with Johnson, he told me of his long-standing and deep desire to do good for people with limited resources. So his inventor’s mind is busy learning more about nature’s strategies and applying those ideas to challenges throughout the world. If you would like details on the design, take a look at the patent. There are two things I hope you notice. First, in biomimicry, you sometimes learn from the organism, but then turn the idea around. Second, notice that Johnson gave credit to the organism that inspired his design. This doesn’t always happen and I’m gratified when I see inventors sharing credit with nature for great ideas.